Las Vegas ranks as average in the nation when it comes to what people think of its CEOs, according to a crowd-sourcing business information company. The first most likable CEO rankings from California-based Owler put Las Vegas at No. 14 among 30 metropolitan areas covered in the report. It had an average score of 70 out of 100. “The list suggests that Las Vegas CEOs, in terms of favorability, are in the middle of the pack relative to other CEOs around the country,” said Jim Fowler, owner and founder of Owler. 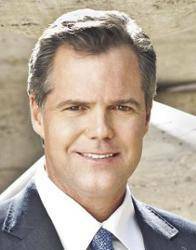 The top three CEOs in Las Vegas include Peter Tarr of CPAlead, James Murren of MGM Resorts International and Allegiant Air’s Maurice J. Gallagher. Tarr has a score of 98.3, followed by Murren at 88.4 and Gallagher at 85.3. Mike Flaskey of Diamond Resorts ranked No. 4 and coming in fifth was Steve Moster of GES. The full rankings are available at www.owler.com. As CEO of CPAlead, a private lead generation network, Tarr was responsible for designing a new monetization systems that allowed the company to diversify its business interest and reach out beyond the CPA (cost per action) market. In releasing its first report on CEO likability, Owler, said it’s building the world’s largest database of company and executive information. The CEO at the bottom of the list in the nation is Oscar Munoz of United Airlines, Fowler said. Munoz came under criticism after a passenger was forcibly removed from an overbooked flight. “He’s taking some lumps lately so it’s no surprise he’s the lowest-ranked CEO with a 22 percent ranking,” Fowler said. Anyone can vote on CEOs from employees to the general public, said Fowler, who added, his own CEO score is 83 percent. Fowler founded Jigsaw, a cloud-based automated system, and sold it to Salesforce. “CEO likability has become such a crucial issue in this new era of visibility, where CEOs are subject to reviews as if they were a restaurant on Yelp,” Fowler said. The CEO voting enables people to vote one of three ways, Fowler said. They are either happy with the CEO performance, disappointed about the performance or have mixed views or medium approach, he said. Nashville ranked No. 1 in the nation in CEO likability at 82.3, according to Nicole Lopuch, head of marketing for Owler. It was followed by Miami, Columbus, Kansas City and Minneapolis. Salt Lake City was No. 18 at 68.6. Houston was No. 30 at 64.8. Owner has 175,000 CEOs and 12 million companies on its data base. Some 250,000 votes were made for the CEO survey and results degrade over time, Fowler said. Costco CEO Craig Jelinek ranked No. 1 in the nation.